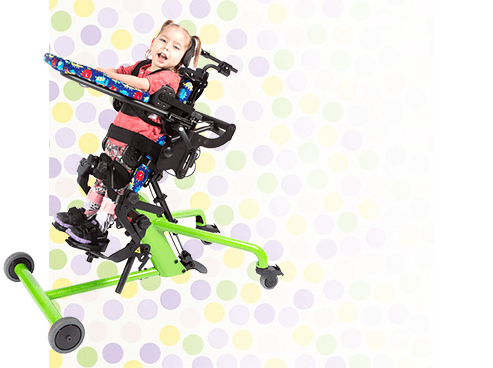 R82 (formerly Snug Seat) is a company that cares about helping children with special needs achieve higher levels of independence through design and innovation and top-notch manufacturing capabilities. 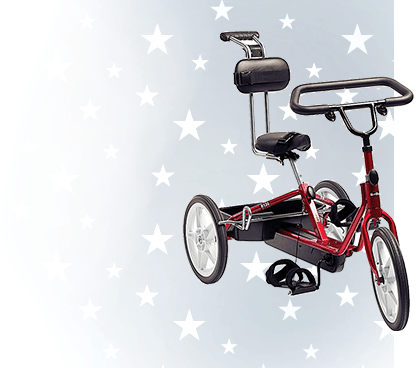 R82 has put decades of research into finding new designs and revamping old designs to help children achieve more independence throughout their daily life. 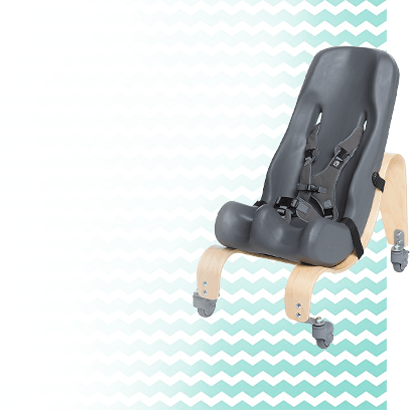 If children need to be positioned properly in a seated position for mealtimes, school work or therapy, the Wombat Living Hi Low Chair could meet their needs. The base model provides the ability for the seat height to be adjusted up to a table or down to the floor for flexibility of use in one seating system. 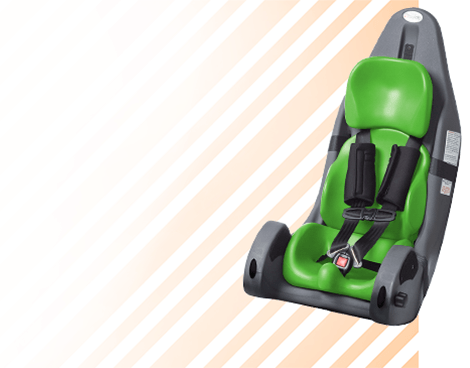 Multiple accessories can be added on to provide the right support in the right place to help your child sit upright. 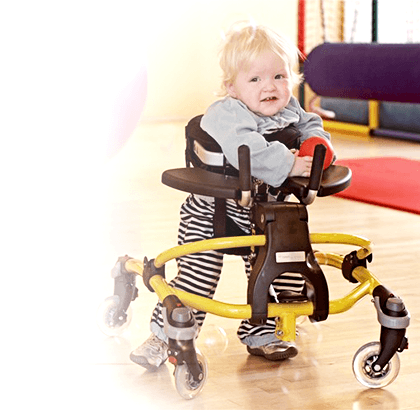 For gait training goals, the Mustang provides the opportunity for your child to walk around their environment with only the supports that they need. 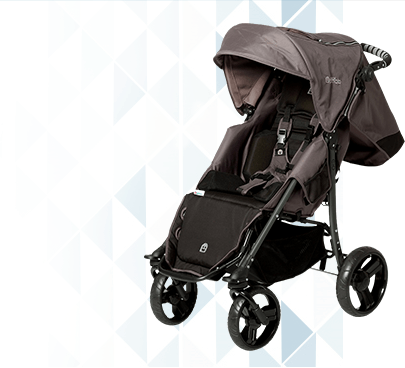 Offered in 4 sizes, there is a size for your toddler up to your young adult. 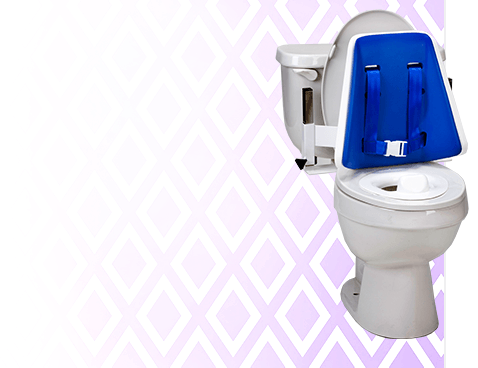 The Flamingo is a versatile piece of bathroom equipment. It can be configured to be used in the bathtub, on the toilet, in the shower or as a free standing commode. No matter your bathroom positioning needs, the Flamingo could meet those needs! At R82, their motto is "nothing compares to a smile". Start browsing below to see what will make you and your child smile more each day!